Top brass of jobs agency miss opportunity to apologize and fix problems. “Are you going to follow the recommendations in the audit?” I asked the board chair of the Wisconsin Economic Development Corporation. He crossed his arms, sat back and smiled at me. A smile that, to me, said I was annoying him. The clearest path to better outcomes at Gov. Walker’s flagship jobs creation agency is to follow the recommendations of the nonpartisan Legislative Audit Bureau. However, during a recent and very long public hearing investigating the troubled agency, I repeatedly heard obfuscation, deception and disdain for the law. Legislators serving on the Joint Audit Committee heard familiar problems: grants and loans given without legal or financial vetting, job creation promises never verified by WEDC officials, inadequate follow-up on companies lacking adequate reports. The third LAB audit report in three years documents that WEDC has made progress. A financial system is in place (at one time the organization lacked even an accounting system). Credit risk managers review files — some of the time. Contracts are based on requirements in the law — part of the time. Plenty of new policies exist — if only staff would consistently follow these policies. 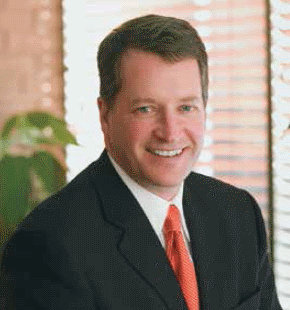 Dan Ariens serves as chair of the WEDC board. It’s a new position to Ariens. He’s been on the board since the creation of WEDC, but this summer he took over as chair when Gov. Walker resigned that position. Ariens runs a business that manufactures snowblowers and lawn tractors. In a seemingly incestuous tangle, he also serves as board chair of Wisconsin Manufacturers & Commerce, one of the largest lobbying groups and which ranks high on the list of political spending organizations. Maybe that is why some of my colleagues were hesitant to pressure WEDC officials into a commitment to follow the law. But not so for Sen. Alberta Darling. Instead, lawmakers heard explanations like “We need to make the organization as fluid as possible so we’re not handcuffed by policies.” Never mind that for this quasi-public entity, “policies” serve in place of administrative rules and are designed to carry out the law. In response to questions by Rep. Terese Berceau about contracts that did not follow the law, the chief legal counsel answered, “We are not so arrogant to think the law doesn’t apply to us.” Their actions tell us otherwise. The recent Audit Committee public hearing provided WEDC’s top brass an opportunity to turn the page. With a sincere apology, they could begin to renew the public’s faith in the organization — address poor decisions head on, improve legislative relations and gain back good will. Instead, the CEO didn’t even attend the hearing despite the meeting being changed to accommodate his schedule. The board chair appeared aloof; his answers were often cagey. The chief legal counsel teetered between whitewashing the truth and denying recent violations by claiming problems were in the past. The Harvard Business Review might be somewhere in WEDC’s office. After all, the agency touts its ability to operate like a business. I’d suggest the WEDC folks take a look at the most recent issue. The recent Audit Committee hearing provided a perfect opportunity for WEDC to come clean and start over. Instead, without a sincere apology, they risk more bad news and yet another scathing audit. The economic development community wants to turn the page on WEDC’s problems. A simple, unqualified “Yes” to my question about following the LAB recommendations would be a great first step. But without a clear commitment to change and real remorse for actions, WEDC’s redemption appears doubtful. That man appears to be incapable of running an ethical, taxpayer-accountable board. Get rid of him. You have a fox in charge of the hen house. The long, long history of costly mismanagement and cronyism in WEDC is astounding. I recommend we do away with WEDC and we stop subsidizing businesses. Business people/entrepreneurs need to be financially responsible for the health of their business and not hold their hands-out for taxpayer money. Kohl’s received a large subsidy to build a new headquarters with the promise of many new, full-time, good paying jobs. Hasn’t happened. And there are many more cases. And little is being done to claw back taxpayers money. If Republicans want drug testing for poor people to receive food stamps, how about we drug test all WEDC board members along with any person applying for WEDC subsidies. Free stuff comes in many forms and what is good for the goose is good for the gander. I thought the darlings of Wisconsin Republicans, David and Charles Koch, oppose subsidies of any kind.